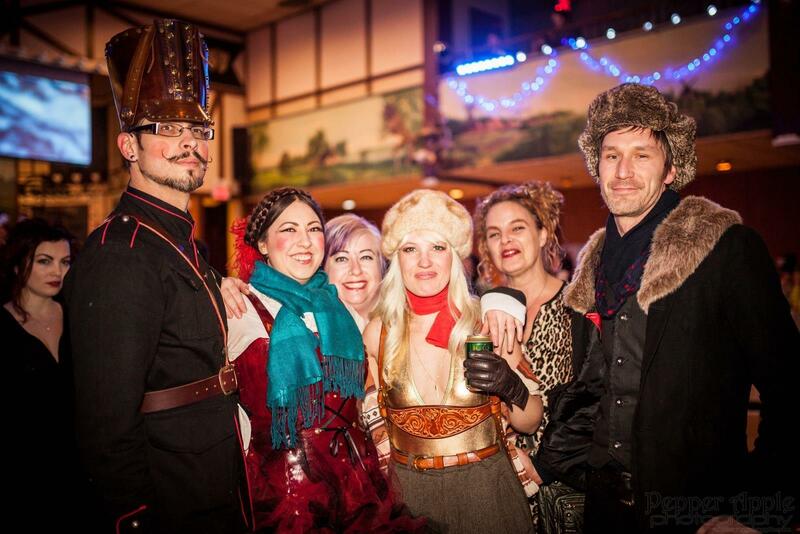 Events: Keeping Community Alive & Thriving! Check out @gimme_shelter_wpg for more info! 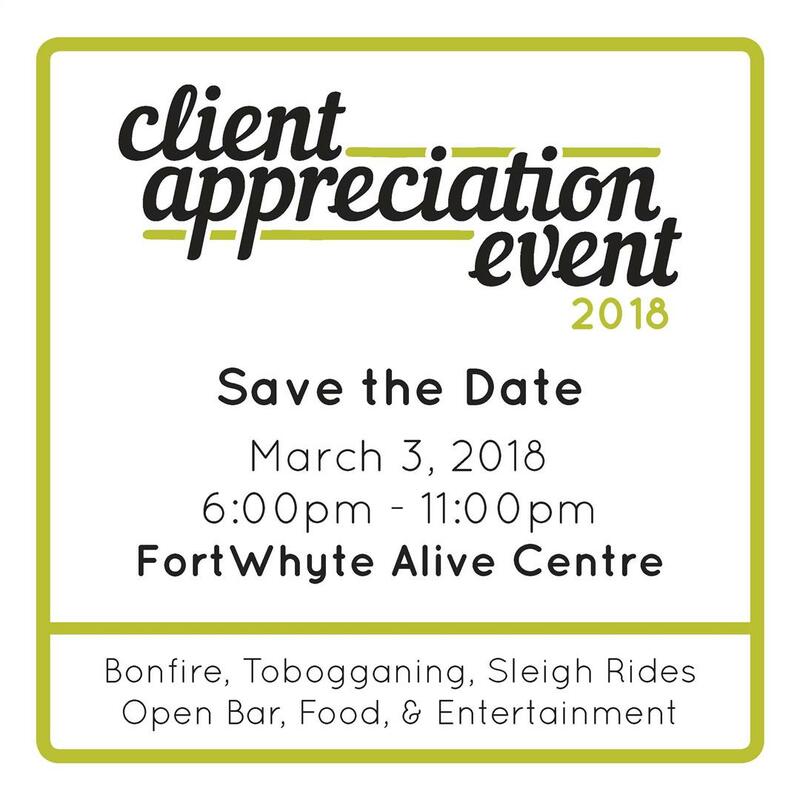 SAVE THE DATE FOR MY CLIENT APPRECIATION PARTY!!! McNally Robinson, Prairie Stained Glass, Stoned Art Inc. and tenalach. 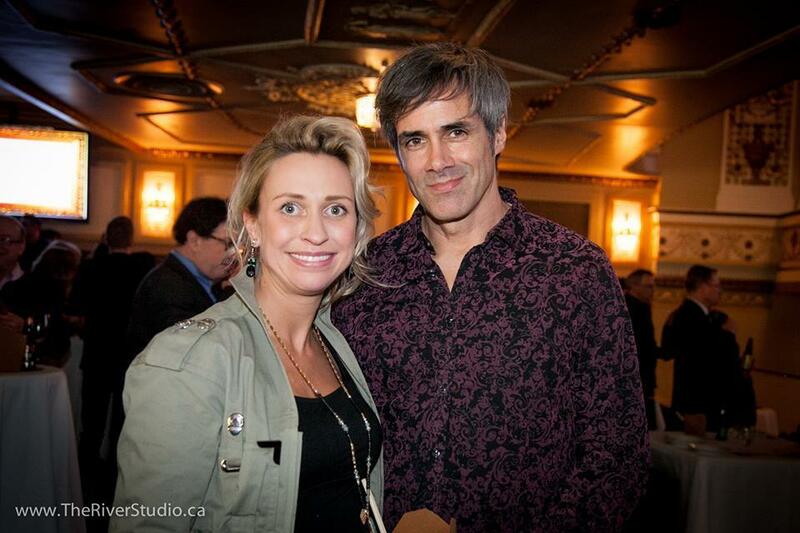 We were pleased to welcome Heather Steele, Senior Anchor of Global News as Emcee for the evening. 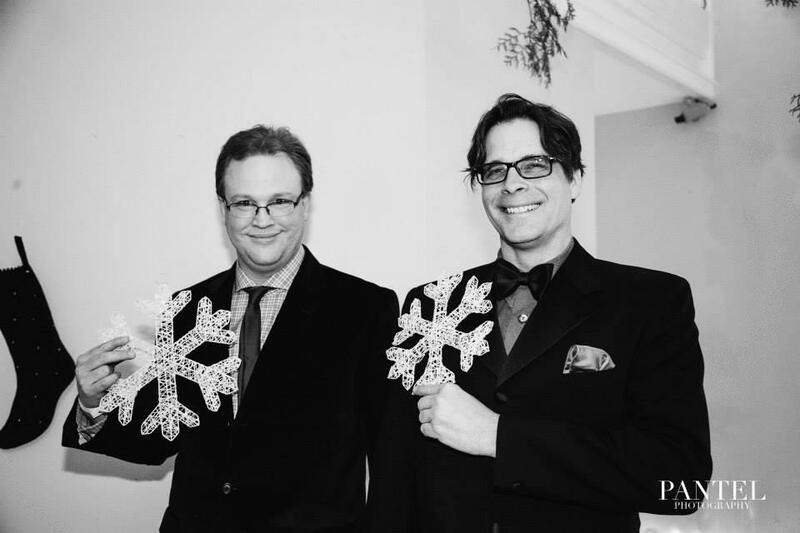 Guests enjoyed music performed by the fabulous JD Edwards Band and a delicious meal prepared by Executive Chef Quentin Harty and Executive Sous Chef Bob Thompson and Executive Sous Chef Jamie Szabo. A very impactful video capturing the essence of what homeownership means to our Habitat families was played. Habitat homeowner, Priscilla, gave a heartfelt thank you to everyone for their support, generosity and for helping her family become an official homeowner! The team from Adesa Auctions, led by Gregg Maidment provided a lively and very successful Live Auction. The trip raffle quickly sold out and the winner, Dale Waterman will be jetting off for a 7-night stay in Lisbon, Portugal generously donated by Continental Travel. The night would not have been a success if it were not for the many volunteers. A special thanks to Connie of Signature Floral Gallery. We appreciate all of you! Mark your calendars for the 2019 House Party, November 7, 2019! It’s a great way to spend quality time with your family and celebrate the season of lights – 3 million watts of them! Canad Inns Winter Wonderland is proud to support two important programs in Manitoba – KidSport Manitoba and the Riverview Health Centre. Third + Bird is Winnipeg’s largest urban market. 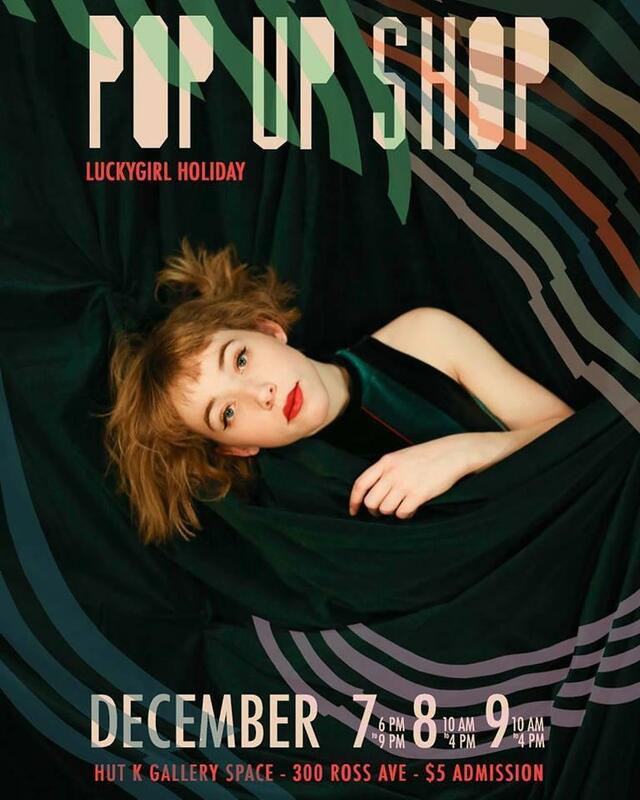 We host curated events that provide fun and inspiring gathering places for artisans + shoppers to meaningfully connect. Third + Bird Markets give spotlight to small businesses who are pushing the independent makers industry through modern design, fresh ideas + creative branding. 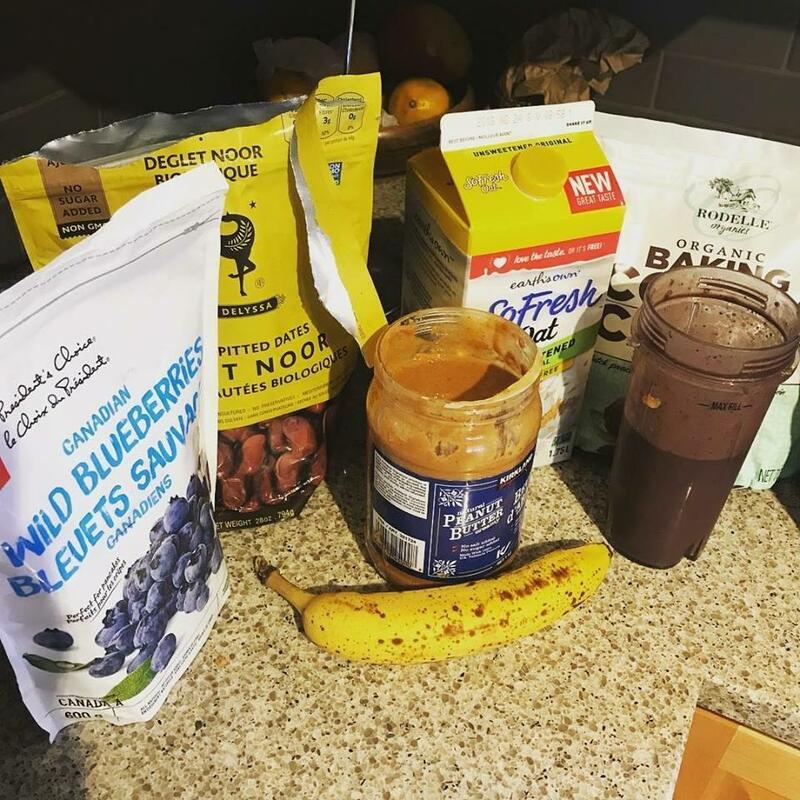 We strive for personal connection with those we serve and work with – because local makers and their product matter to us, and we believe they matter to you. We pride ourselves on creating a unique shopping experience filled with inspiring visuals, food + drink, live music and infectious energy! ‘Skip the mall, Shop small’ is a movement we are proud to be industry leaders in. Breakfast with Santa at The Bay! 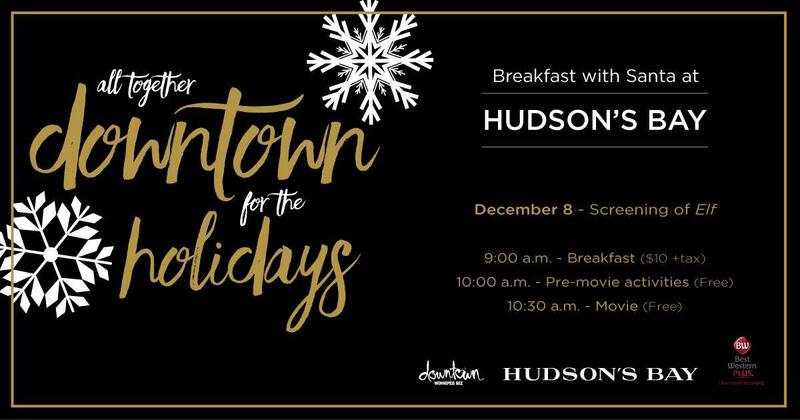 Can't wait for this super fun holiday event! A creative collective of inspired and talented local people brought together seasonally to share and sell their craft. 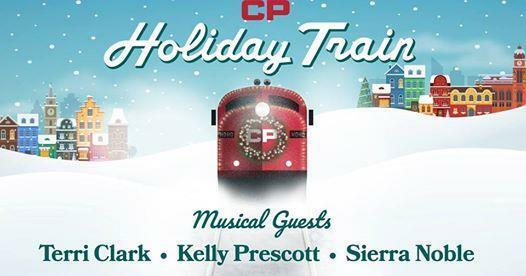 Beginning in Montreal on Nov. 25 and 27 respectively, two trains will make the festive journey, travelling through both the U.S. and Canada to bring holiday cheer to 164 communities along CP’s network. Each event is free, with CP encouraging attendees to open their cupboards and wallets to help address hunger needs in their communities. 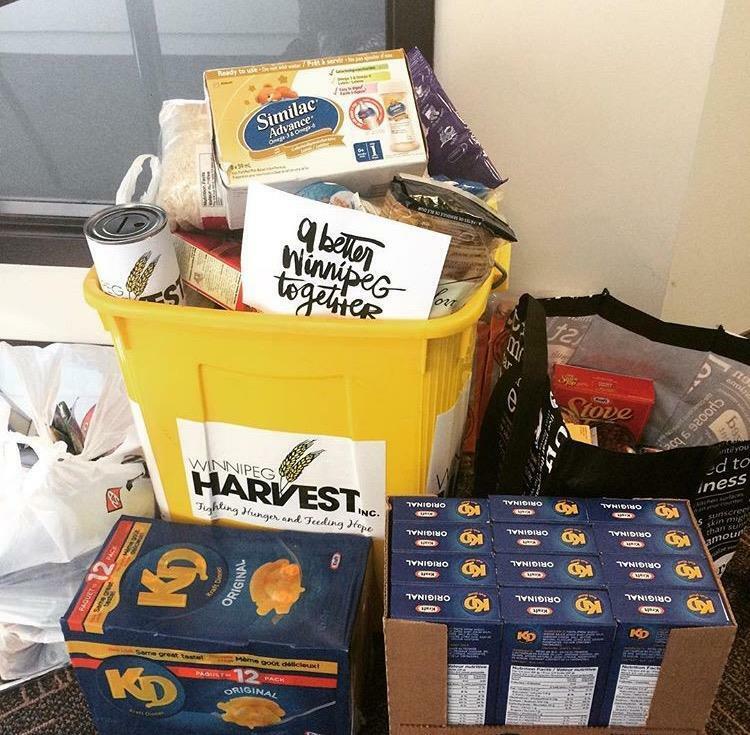 Local food banks will be accepting donations at each stop to ensure those less fortunate have enough healthy food this holiday season. I always look forward to the events put on by Habitat for Humanity! This year I am lucky enough to be the sponsor of the photo booth! Come check it out! "Please join us on November 1 at the RBC Convention Centre for our annual House Party presented by the Johnson Group. We will celebrate our 2018 achievements and raise money to build safe, decent and affordable housing for families in need. Join us for an evening of good food, great music and an exciting Live and Silent Auction. This year we will be selling tickets for your chance to win a fabulous a seven day vacation in Portugal! Cocktails 6:00 pm with dinner and dance to follow. 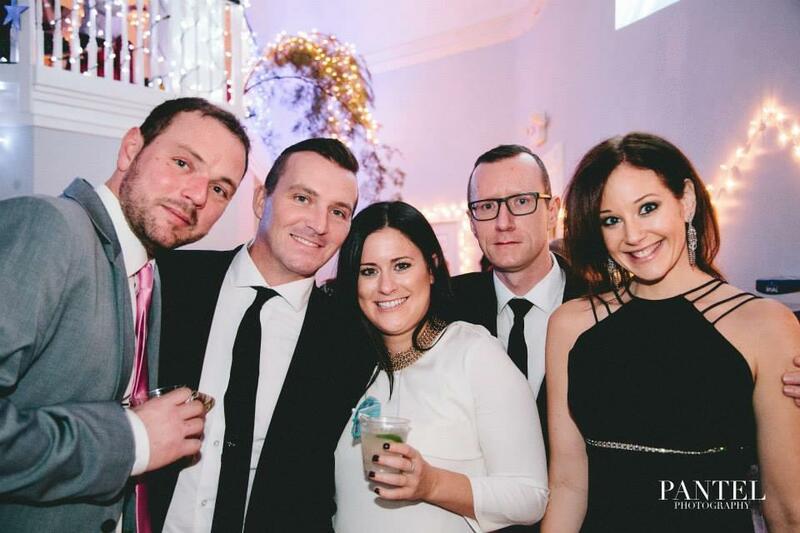 The JD Edwards Band rocked the house last year, so we invited them back! You don't want to miss it!" 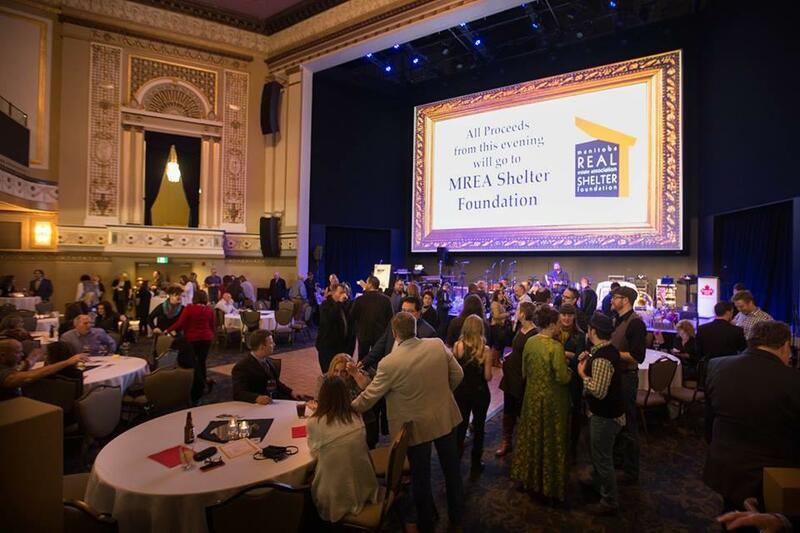 MREA Shelter Foundation Event- Stock Your Bar! 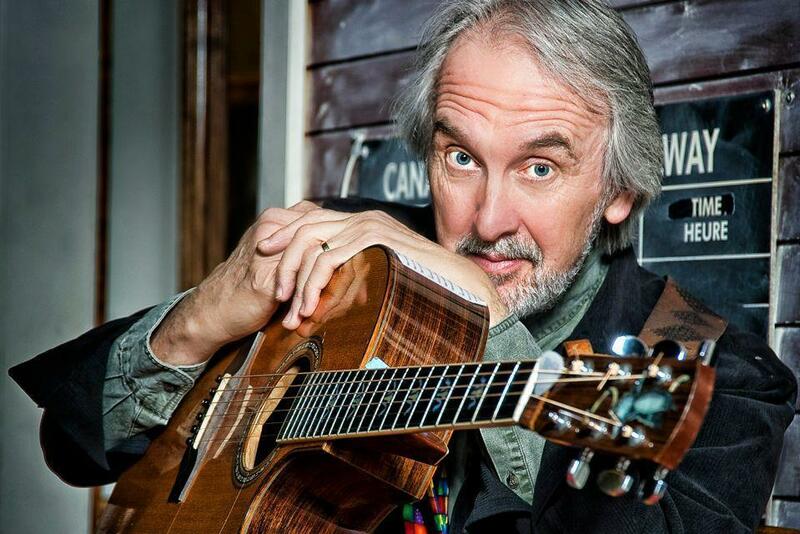 Everyone's favourite prairie festival continues this year with terrific music, delicious locally-sourced food, inspiring educational workshops, Fair Trade Fair and Farmer's Market, and mini Kid's Festival too! Grab your tickets and join the party! 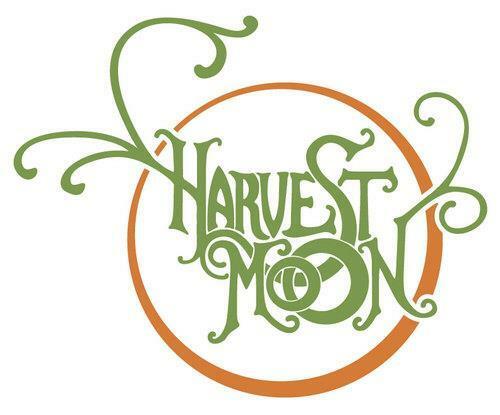 The Harvest Moon Festival celebrates the harvest season and local food production, while providing an opportunity to link those from rural and urban communities. 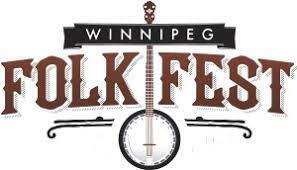 The festival is a key to promoting the Harvest Moon Learning Centre, the generous spirit of the Town of Clearwater, the talents of local artists, tasty produce of local producers and the beauty of the Pembina Valley. Held annually during Ovarian Cancer Awareness Month in September and is the second year in a row that I will be participating. This event raises vital funds to provide support, raise awareness and fund much-needed research into prevention, improved treatments and ultimately, a cure. All proceeds support Ovarian Cancer Canada, the only national charity dedicated to overcoming this disease. 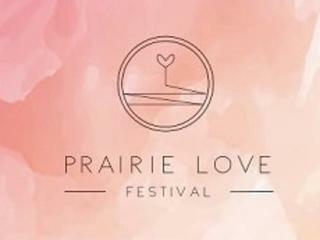 Prairie Love Festival celebrates the land of big skies and big hearts with seasonal, community-focused wellness experiences and Mindful Market pop up shops in Winnipeg, MB. NEXT UP: BLOOM - April 6 + 7, 2018 at the Fort Garry Hotel. 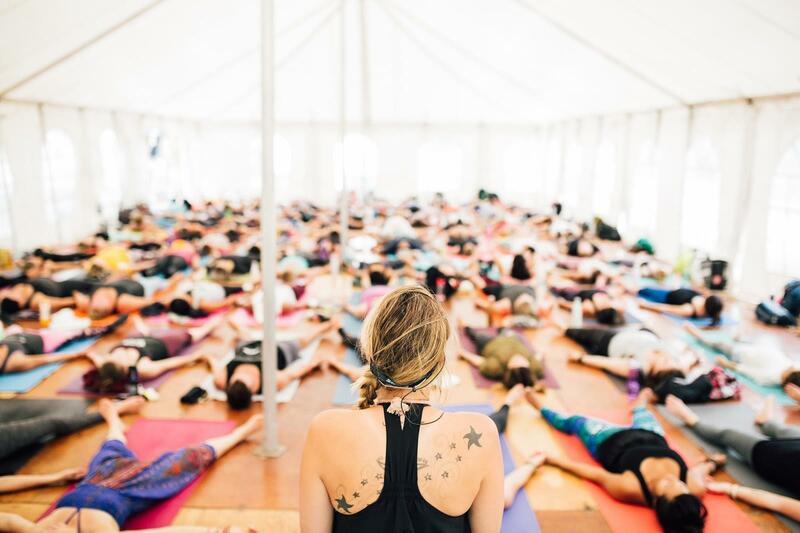 Save the date for Prairie Love Festival, the prairies' biggest + brightest yoga festival: September 7 - 9, 2018. Another golf tournament I will be attending! "The 12th annual tournament will be held, once again, at the beautiful Glendale Golf and Country Club on Thursday, June 21, 2018. Early Bird registration ends May 25, 2018 and spots fill up fast. Come join us for a great day of golf, friends, food and fun in support of the MREA Shelter Foundation. Not really into golf? 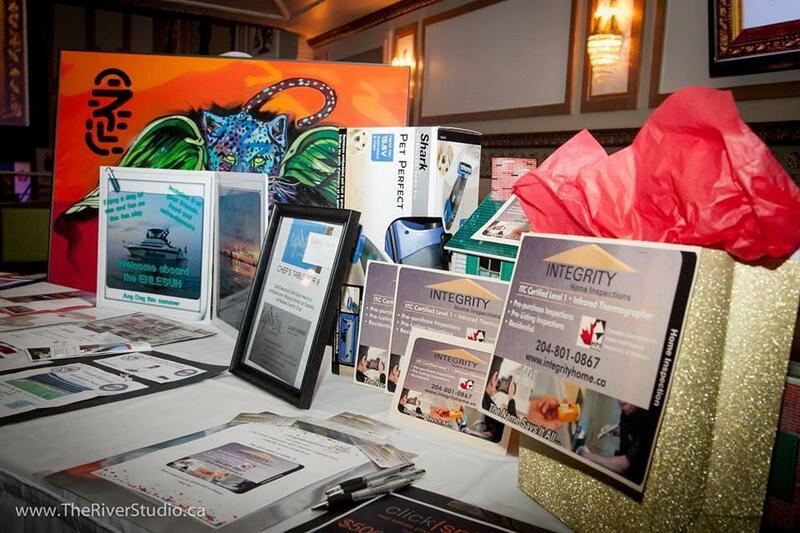 Maybe you would like to consider becoming a partnering sponsor.Come out for the day and mingle with your fellow REALTORS® and try win a few auction prizes while you’re at it! 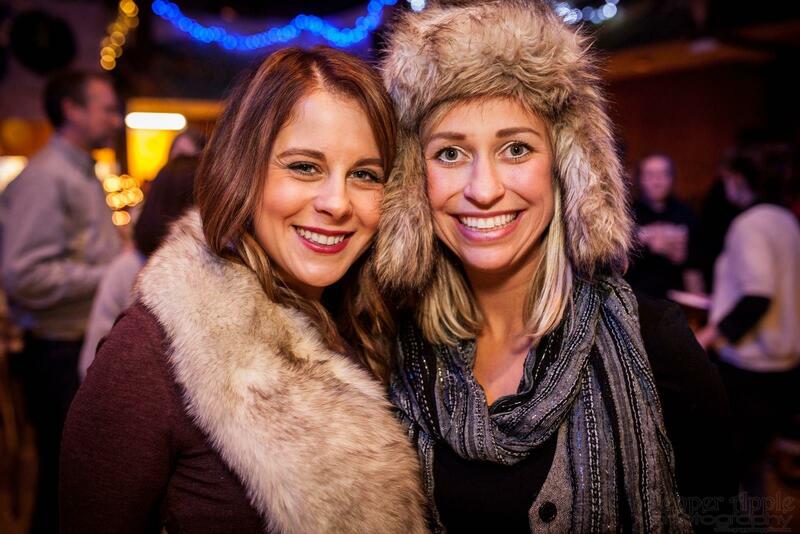 You can’t go wrong with having a great time and supporting a great cause in the process. Bring the whole office and all those friends you’ve meaning to get together with for too long." "As an annual tradition, Chris would always take it upon himself to arrange a 'Golf Tournament' in honour of his birthday. Typically held on (or close to) his birthday of June 11th, Chris would get a handful of his buddies out for a day of golf, beers, cigars and laughs followed by an evening of partying and general celebration of his day of birth. The 4th Annual Chris Silman Memorial Golf Tournament will be held this year on Saturday June 2nd, 2018 at Southside Golf Course. The cost per golfer will be $125. This includes green fee, power cart, BBQ dinner/after party, a chance to win a prize or two, hopefully some sun, definitely some fun and of course a donation to Canadian Diabetes! We will have on course contests with PRIZES for Longest Drive, Closest to the 'crooked line", Closest to the Hole, Best/Worst Score and Best Dressed!" I can't wait to attend this delicious event! The best artists and chefs of Winnipeg are coming together to create an amazing night full of tasty food and a super fun art auction! The event supports NorWest Co-op Community Food Centre. I am so excited!! 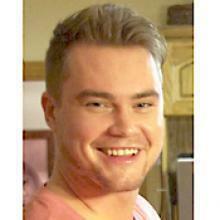 I will be attending The Manitoba Boxing Association's incredible event! I can't wait to see amateur boxers compete (safely!) for such a good cause. 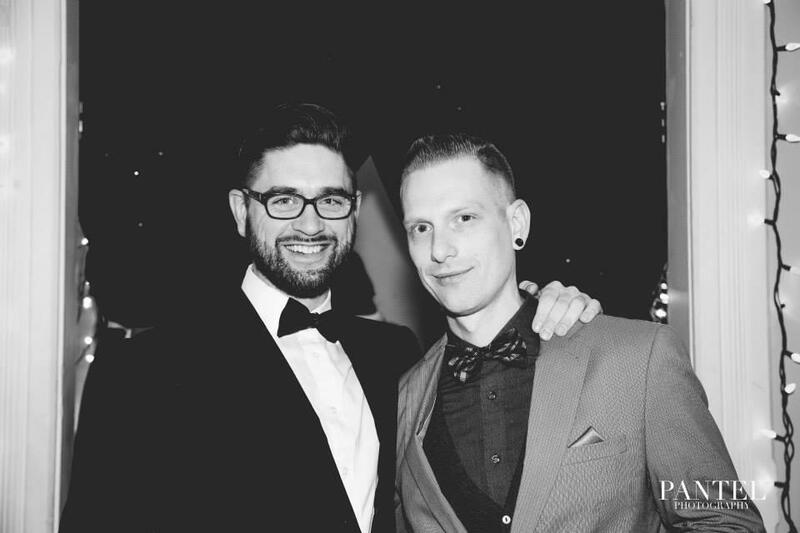 At the same time, I also get to enjoy a black tie night out, great food, and other fantastic entertainment. What a great way to raise money for all the deserving charities! Fort Whyte Alive for the second year! 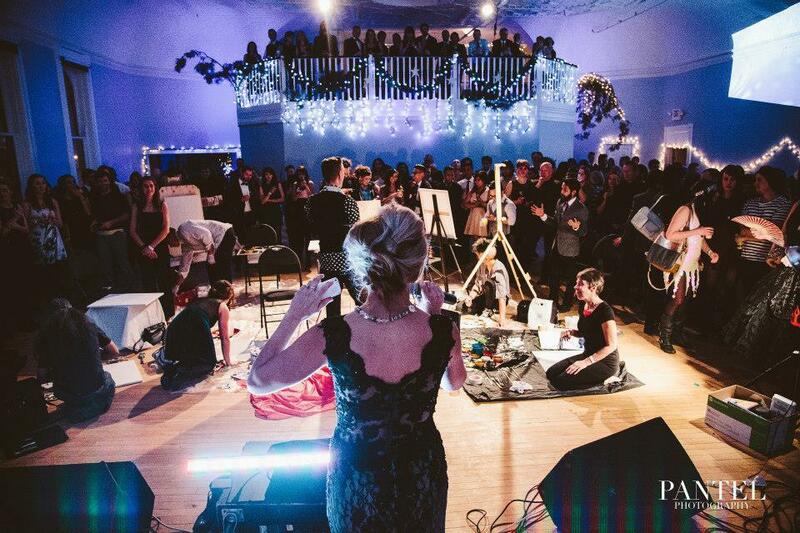 Last year, we turned the RBC Convention Centre ballroom into a cozy and casual house party featuring rooms set up by local companies, live music, silent and live auctions, and even a dice game of chance to try and win a car. 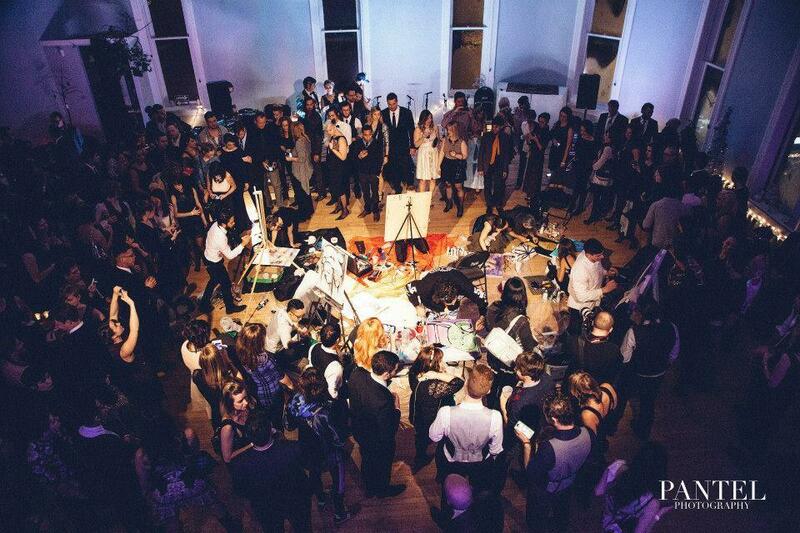 This year, we promise to host another exciting and enjoyable House Party for our friends with once again, delicious food, live music, great auction prizes and so much more! We hope you can join us for a memorable evening on Thursday, November 2nd at the RBC Convention Centre.  By attending this event, you are helping to build strength, stability and independence to the Habitat families in need of a decent and affordable place to live. AMBER will be there with a table, come over and say HI! GRAND PRIZE IS A TRIP FOR 2 TO ITALY! 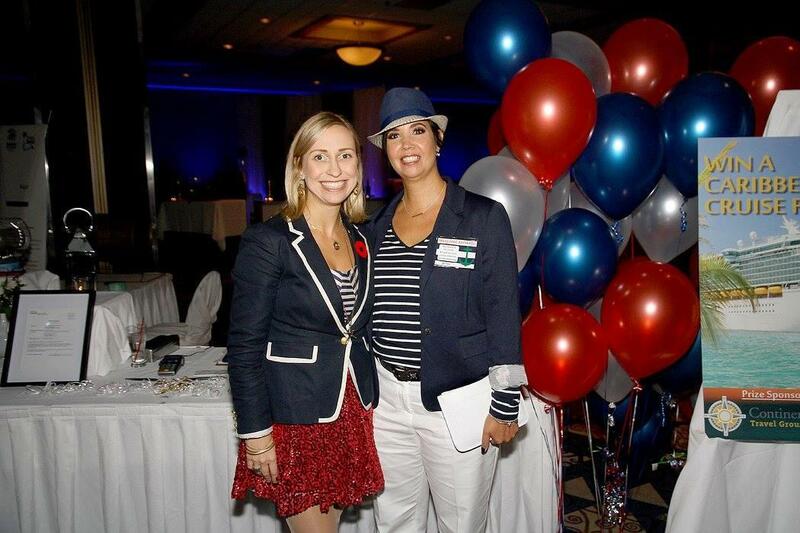 The largest Canadian RE/MAX Conference was held in Winnipeg Sept.20-22 and it did not disappoint! Held in venues and hotels all over our city including showcases The Museum of Human Rights. Amber would like to send a huge congratulations and thank you to all of the presenters and attendees. To love or to not Love where you live, that is the question! 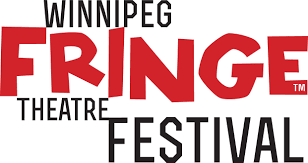 To give back to the community is a true gift and REMAX is a proud sponsor of the fantastic Winnipeg FRINGE festival. Grab your tickets and hit a show as its ending this weekend! Did you know that AMBER has a background in fire dancing? Next time you see her a showing a house, might be a good time to challenge her to bust out her moves! AMBER's philosophy with philanthropy is to build a community that supports each other in all facets and to truly "love where you live". 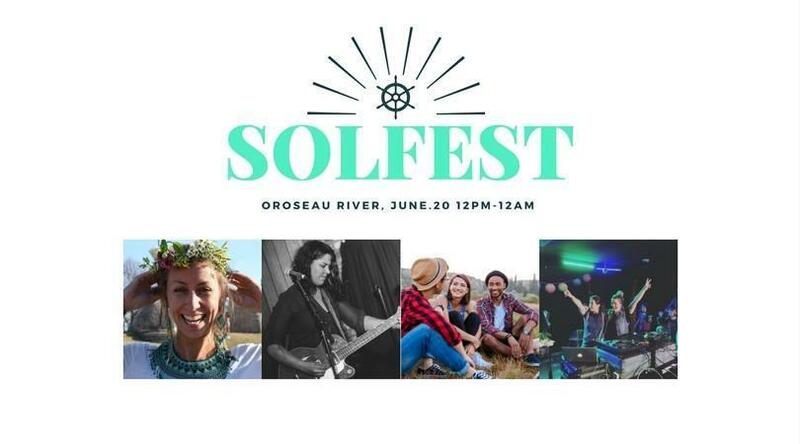 Amber Realty is proud to sponsor her client Andina Turenne in the Campfire singalong jam at the first annual SOLFEST celebration. Grab your ticket here, and join in on the family fun! 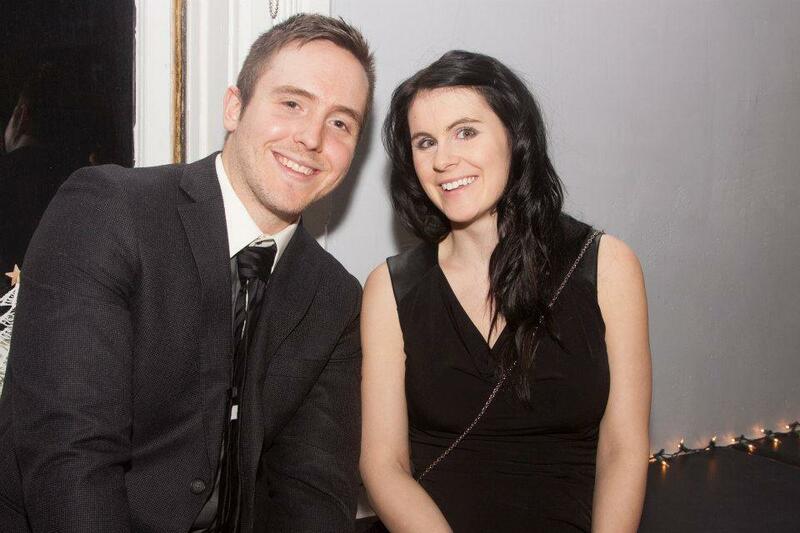 The 8th Annual Winnipeg REALTORS® Gimme Shelter Fundraising Event Mayhem at The Met was the best year yet! With live music and DJ, live auction and rainbow auction, and delicious food stations in was a beautiful evening for a fantastic cause. Thanks to the amazing volunteers and generous donors we were able to raise over $11000 in the blind auction. Working together so all can love where they live! 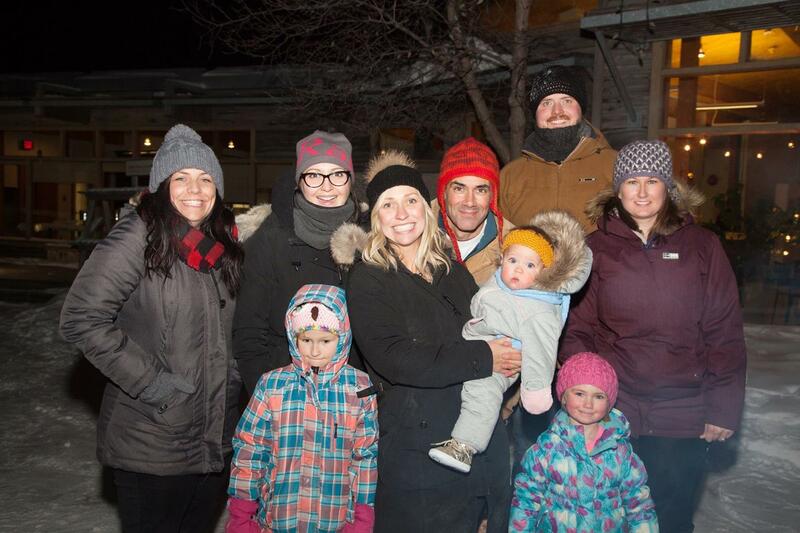 Thank you to all of my amazing clients for braving the cold and coming out to celebrate our community at the beautiful Fort Whyte Alive.You opened your hearts and your pantries with bringing a boat load of food to donate to Winnipeg Harvest. 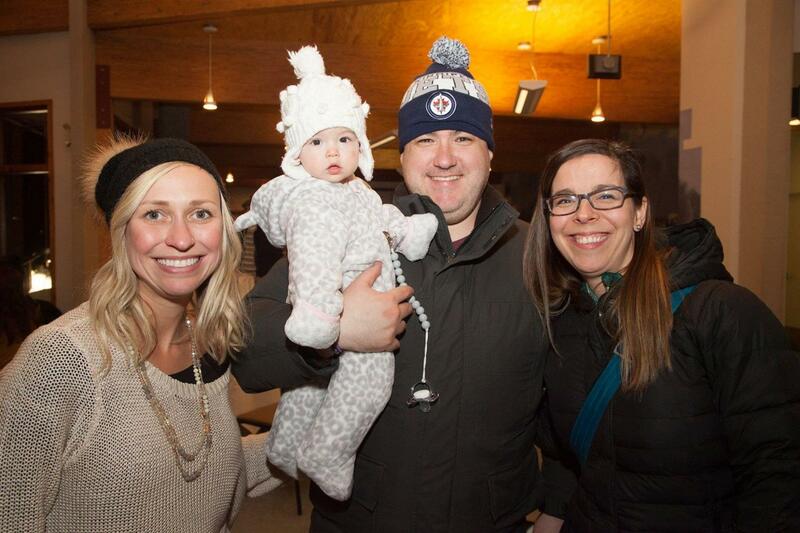 We showed our winter side with toboggan runs, snowshoeing and enjoying smores and laughs by the fire. Each guest went home with our new Amber Realty mugs with an individual hot chocolate treat. Stayed tuned for a photo recap! 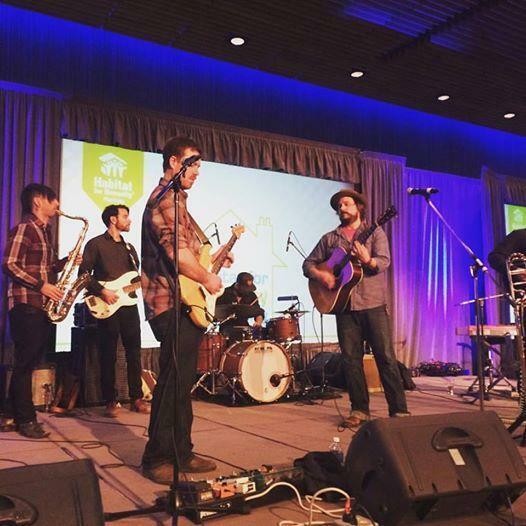 On Thursday, November 3, over 400 guests attended Habitat for Humanity Manitoba Annual House Party, presented by the Johnston Group. 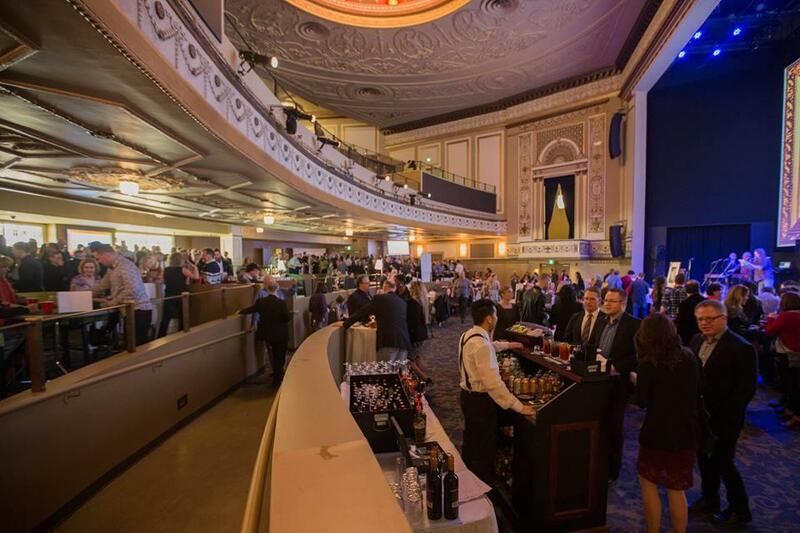 The RBC Convention Centre York Ballroom was transformed into a beautiful home and created the welcoming setting for the best house party. Thanks for the front row seats for our table, the delicious food, awesome prizes (of which we bid and won 4 of!!) 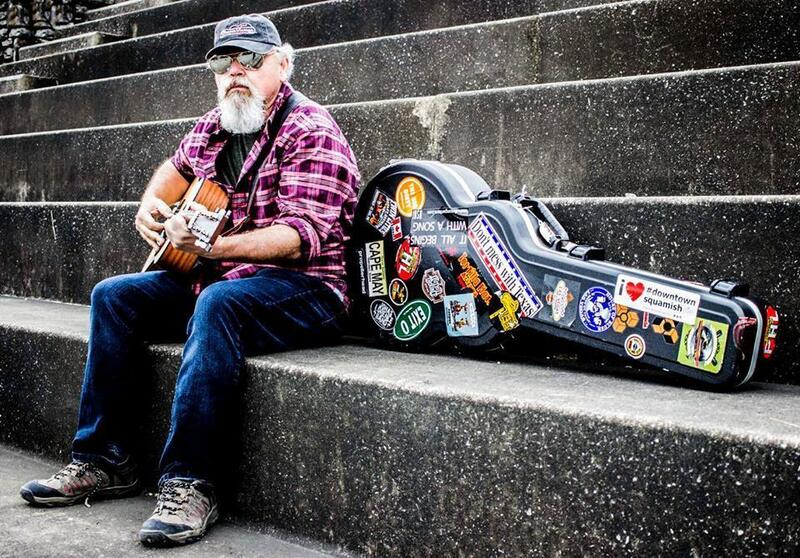 .. and, of course, the wicked talents of JD Edwards music! Save the Date, buy your tickets! 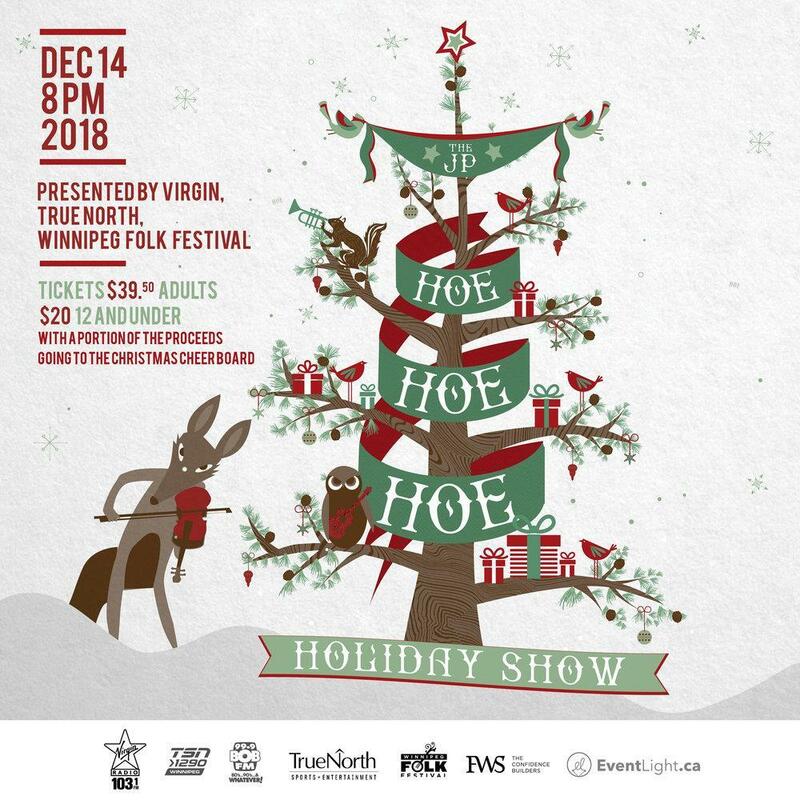 Amber van den Broek is a proud table sponsor this year! This year HFH is planning a very exciting "House Party" which we hope you will attend! This evening promises to be casual - no suits, ties or ball gowns - just a good old fashioned House Party. We invite you to share in this one-of-a-kind experience. Habitat for Humanity needs to raise $175,000 to build a home. The proceeds from the House Party will go towards a deserving family getting their dream home. 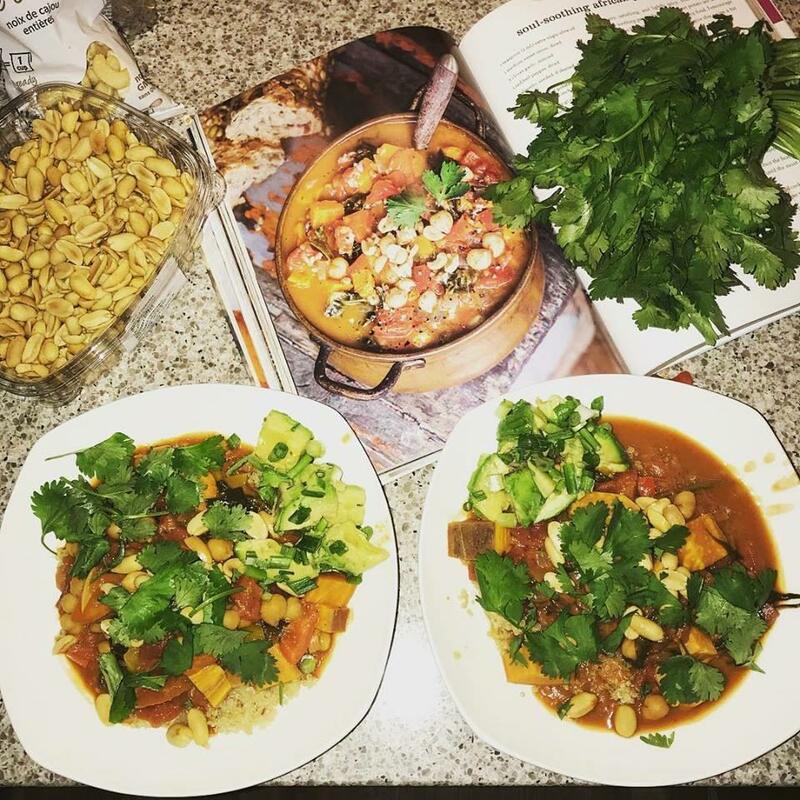 The House Party promises a delicious home-style meal, live and silent auctions along with entertainment from the JD Edwards Band. 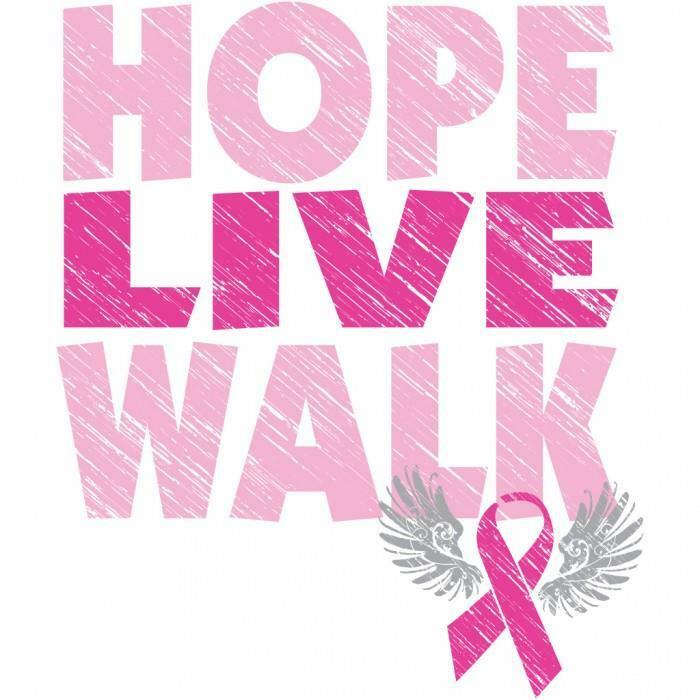 Join me at the RRC convention center for this great cause! 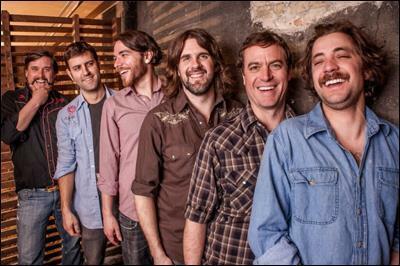 One of my favorite festivals of the year happens each Fall in Clearwater, Manitoba. Dedicated to not only great music but also hosts a top notch sustainable farmers market and local craft fair. This year, the whole family took a sweet little Boler trailer out to the field, as we took in the rural prairie wonders & full moon sky. Just another reason to love where you live Manitoba! Such an honour to volunteer for the third straight year at the amazing Prairie Love Festival. Bringing community, yoga, and nature together in the pristine setting of Fort Whyte Alive. A world class festival right in our backyard, making us love where we live even more! 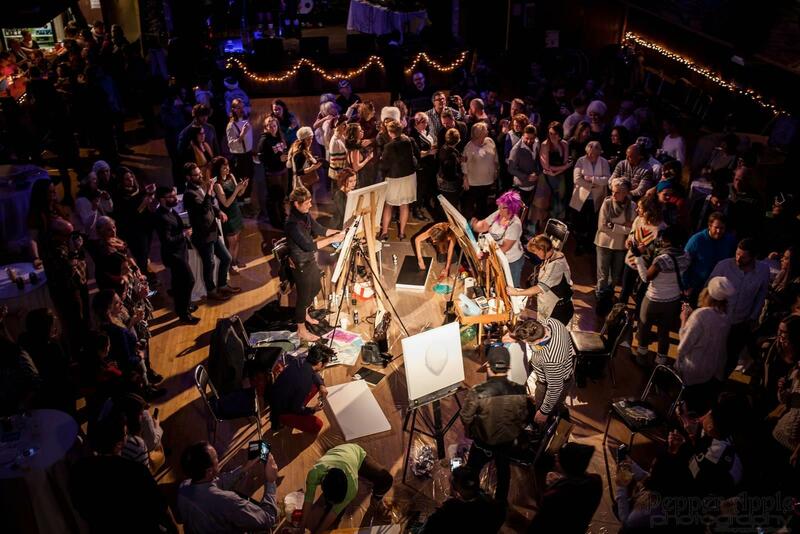 Gimme Shelter 2016, a HUGE success! 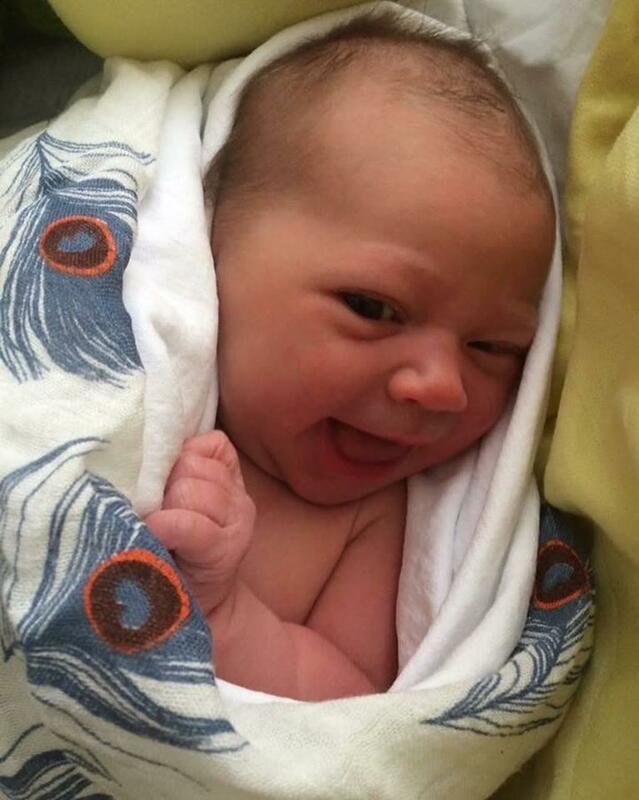 I'm so excited to announce the arrival of Anika Mary Hudson, born Sunday April 3, 2016 at 10:10am weighing 8 lbs 3 oz. A grand new adventure begins and we couldn't be happier with a healthy, content, precious baby girl. Anika, the next real estate mogul in training, has already stolen our hearts. Thanks to Linda van den Broek for helping with current business, so all your referrals are taken care of! Wishing everyone a wonderful spring, as the sun shines and new growth & possibility are all around us. 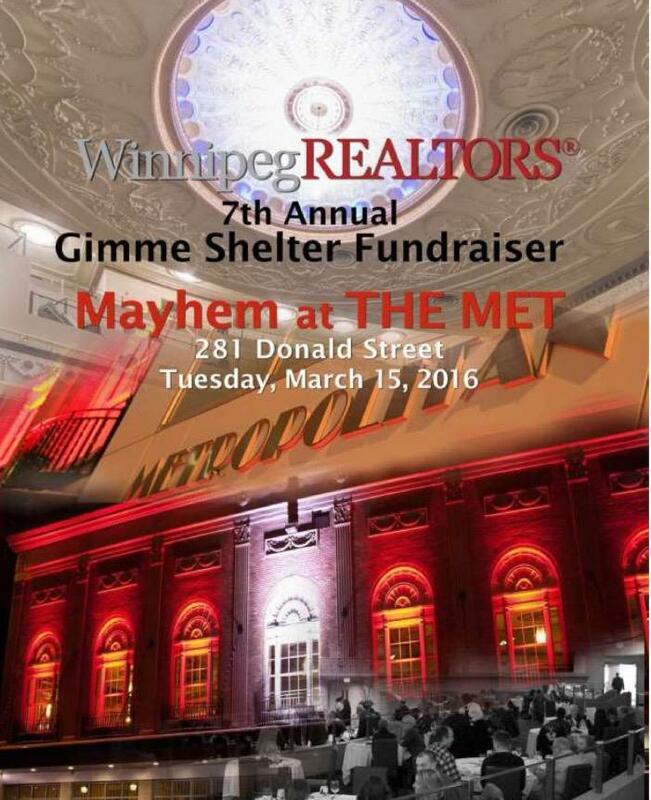 Winnipeg REALTORS is excited to announce the the 7th annual Gimme Shelter fundraiser being held on March 15th, 2016. Guaranteed to be an entertaining evening full of interactive games, live entertainment, delicious food stations and more! The event supports The Manitoba Real Estate Shelter Foundation, established to provide financial aid to Manitoba shelter related charities. Contact me to book your VIP table or contribute to the ever growing list of amazing Rainbow Auction prizes. Winnipeg came out in TRUE style on a -41C Saturday, and The Snowball can't thank you enough!! The art battle action raised $1415, the front door was always busy, the rainbow auction was a true success, and with your support we've hit our target of raising over $10,000 for Green Action Centre and their commercial compost initiative. One night of fun, for a long term environmental investment! 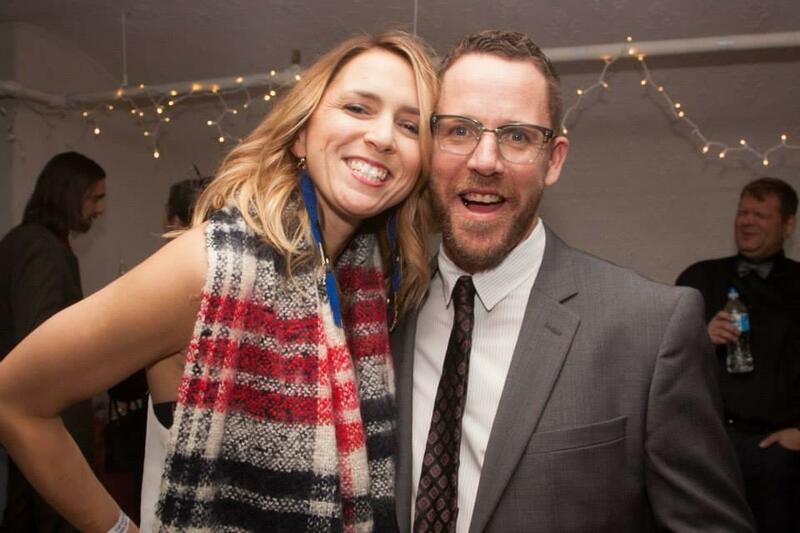 THANK YOU SO MUCH for being there, dressing with the theme, keeping the dance floor packed, trying out the shot ski, sampling the hot cocoa, eating all the food ... and most of all for just being plain awesome! Please check out our list of sponsors, performers, and artists, as without their help our goal would have been a long way off! 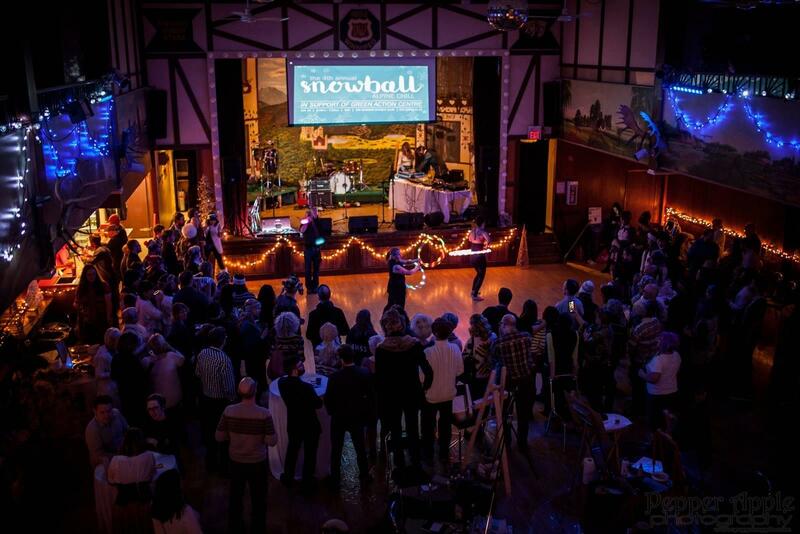 Photos thanks to Pepper Apple ♥♥♥ 4th Annual Snowball: ALPINE CHILL for event page! Thanks to all the volunteers for your time, energy, sweat, and tears. It was my honour to volunteer at The Annual House Party & Auction at the RBC Convention Centre. 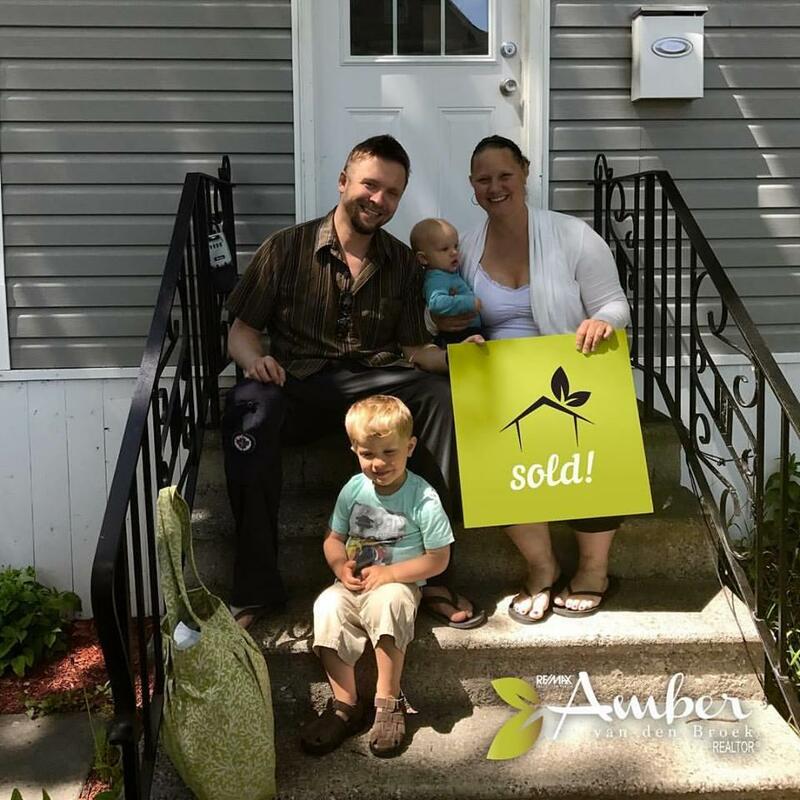 By mobilizing volunteers and community partners, Habitat for Humanity Manitoba works with people from all walks of life to build safe, decent, affordable housing for purchase by low-income working families. An amazing organization that is close to my heart and runs through the collaboration of community. I attended a lovely event hosted by the Rotary club to raise awareness of their mission "To create community through fellowship and service, to eliminate poverty and disease and to provide knowledge and opportunity, especially for young people." Joe Aiello masterfully emceed a crowd of over 400 gathered to celebrate the 10th Never Alone Luncheon and be inspired by Milt Stegall’s keynote address. 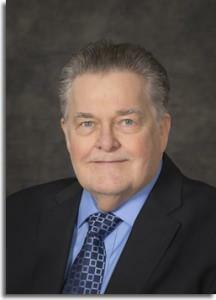 As quoted by Paul Shane Spear, “As one person I cannot change the world, but I can change the world of one person. 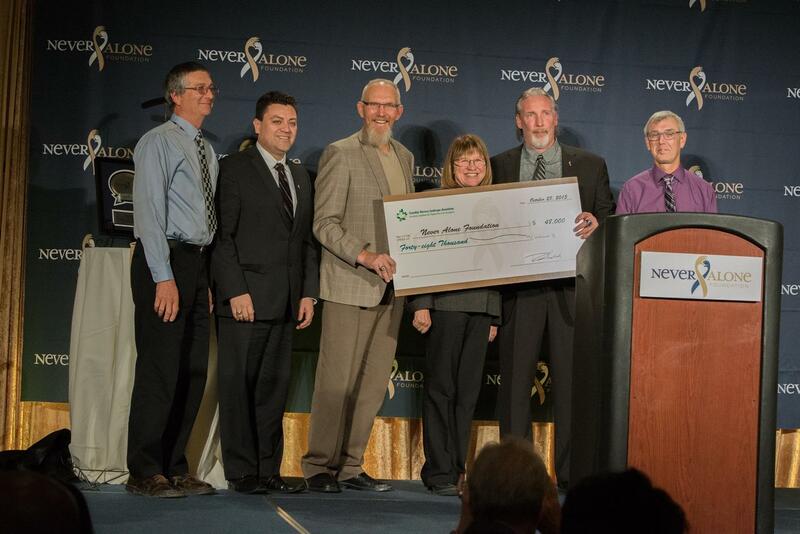 “With that in mind the Never Alone Foundation will continue to make a difference, in the lives of those affected by cancer, one person and one family at a time. " Be part of an unforgettable journey; a two day adventure that will challenge, motivate, and inspire you, the MS BIKE tour will make a difference in your own life and the lives of everyone touched by MS. Whether you're a hard-core cyclist or a novice rider, gear up to end MS and join us on a journey you won't soon forget! 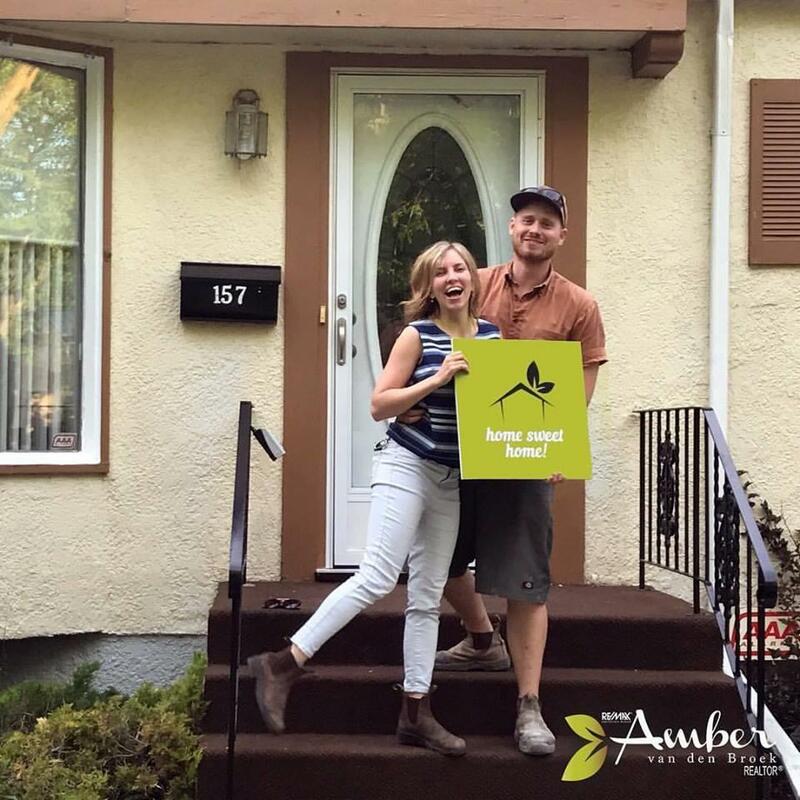 Years ago I met Kyla Wiebe while helping her mother buy a condo. 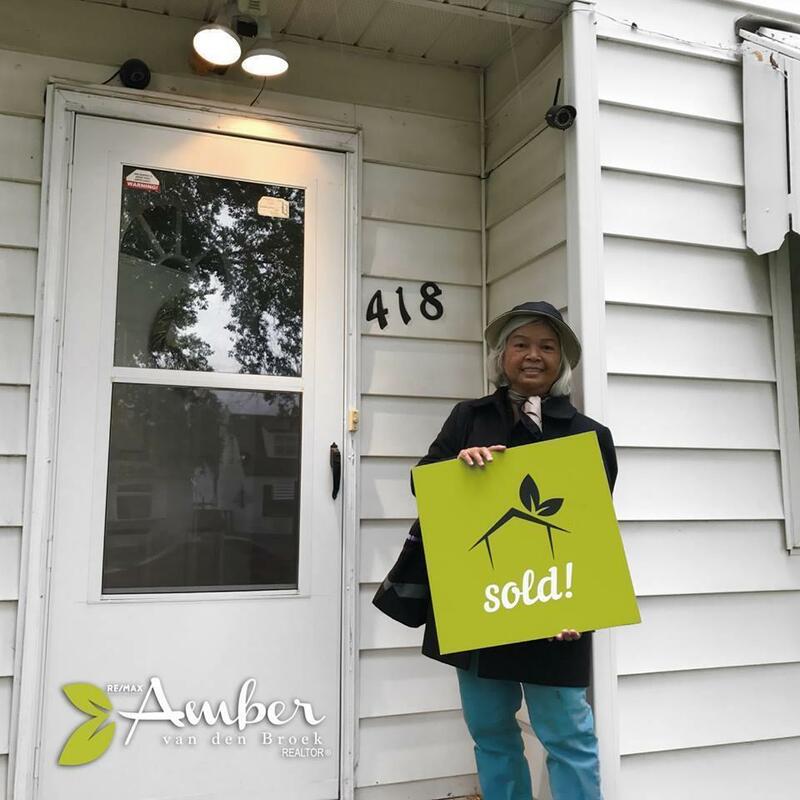 I have been so fortunate to have helped her daughter, and then herself & her husband find a new home that works better for her MS. I consider them friends now and am so fortunate to have met them. 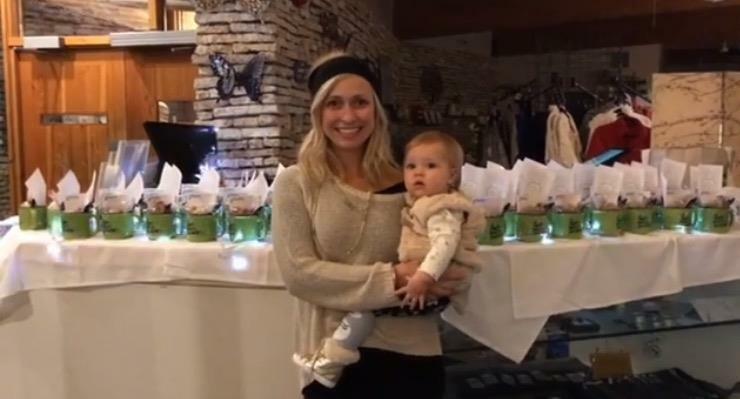 Kyla is truly a giving heart that works tirelessly at her non profit career, and volunteers on the side. She has supported my career and life is so many ways, and I wanted to give back to her in a way that these words can't. Hopefully I can walk the week after the ride Kyla!!! xoxoxoxo Thanks for everything. To Donate and for more information about the tour, click the link below! 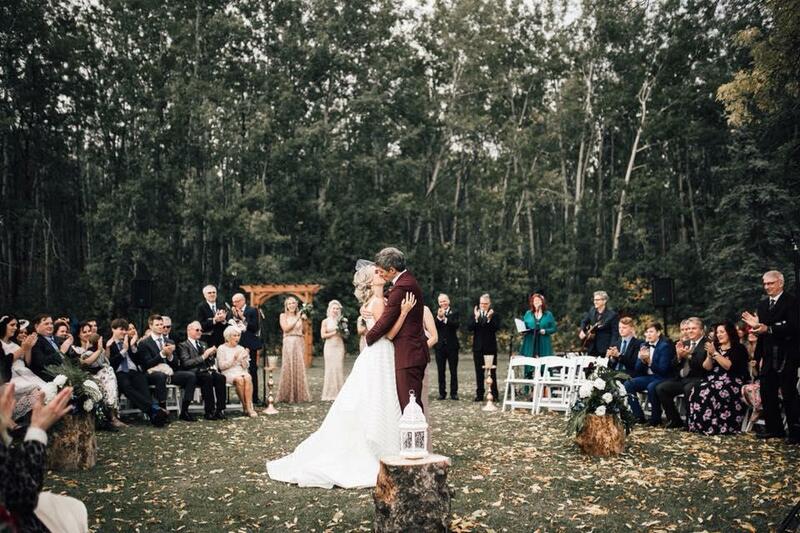 Be a part of the community at this inspiring event set in nature, using both the indoor and outdoor venues at Fort Whyte Alive in Winnipeg, Canada. 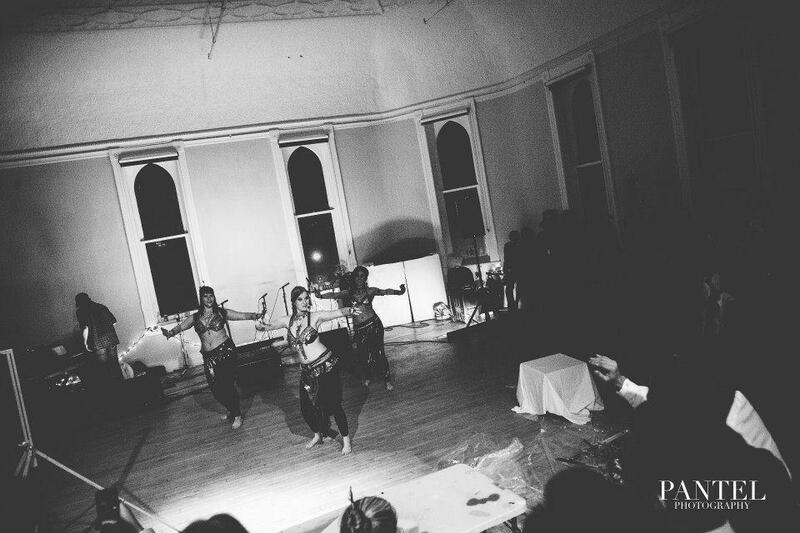 This unparalleled experience in the prairies offers participants: yoga classes with renowned instructors from across North America; tranquil meditations; educational nature hikes; empowering speakers; and musical delights from local musicians and Djs. Annual Appreciation Party with Purpose. This event is an opportunity to say thank you to my clients and give back to the community. 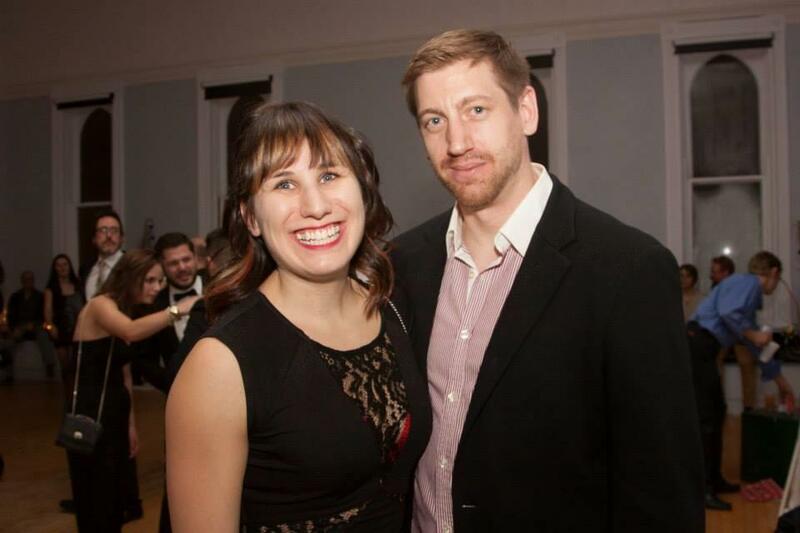 The event this year is supporting two Winnipeg organizations working in Women and Family Health. 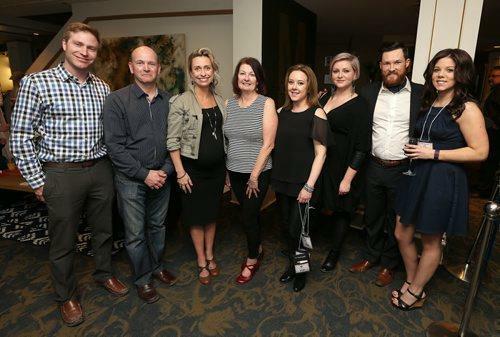 Villa Rosa Inc. and Bravestone Centre Inc. were the recipients of this years fundraiser, and Amber is proud to announce that almost $10,000 was raised. She's so very thankful to all of the hard working volunteers, prize sponsors, food sponsors, and entertainers that made this even possible! Looking forward to 2015!! For the full event page please click here, photos are also available to see and enjoy! As a way to say thanks I believe in bringing my clientele together to throw them a memorable event. To say thanks for allowing me to continue with a career that I truly love. An excuse to get out into the Winnipeg summer, have a BBQ'd burger or two, and enjoy each others company! !